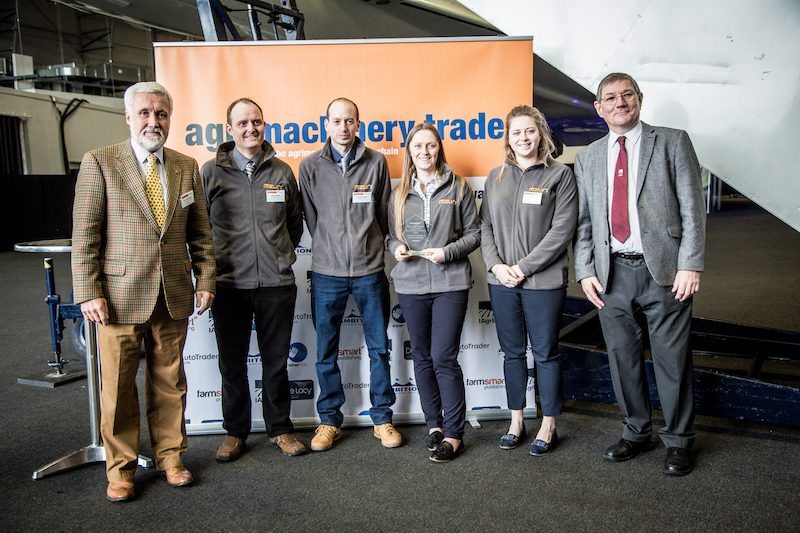 The winners of the 2019 AgriMachinery trade News Excellence awards received their awards at a special ceremony held at Concorde, which is based at Manchester Airport. Publisher Andy Newbold said, "It was a great opportunity to come together to celebrate the often unsung and overlooked heroes of the machinery supply chain who are busy going the extra mile to keep UK Agriculture farming." The Blue Ribbon award for Outstanding Contribution to Agricultural Machinery - perhaps the most prestigious award of the day - went to Mzuri. IAgrE CEO Alastair Taylor and President Elect Paul Hemingway presented the award to Martin Lole, Mzuri’s founder and Managing Director. The Mzuri team thanked everyone who took the time to vote and said it is a privilege to be recognised for their efforts in the industry as they strive to continue to provide exceptional service. This years winners were chosen from a very strong field of nominations from their peers in the industry. ‘Its high praise indeed when a customer or a supplier makes a nomination, and this years winners deserve the recognition of these awards’ Andy continued. Other award sponsors were Autotrader.farm, De Lacey Executive, Newmac Limited and Ambition Brand Support. Dealer Parts Manager of the Year winner – Medwyn Hughes of RVW Pugh Ltd , Churchstoke branch.